The Charter is a statement of the respect, care and support that people living with MND and their carers deserve and should expect. 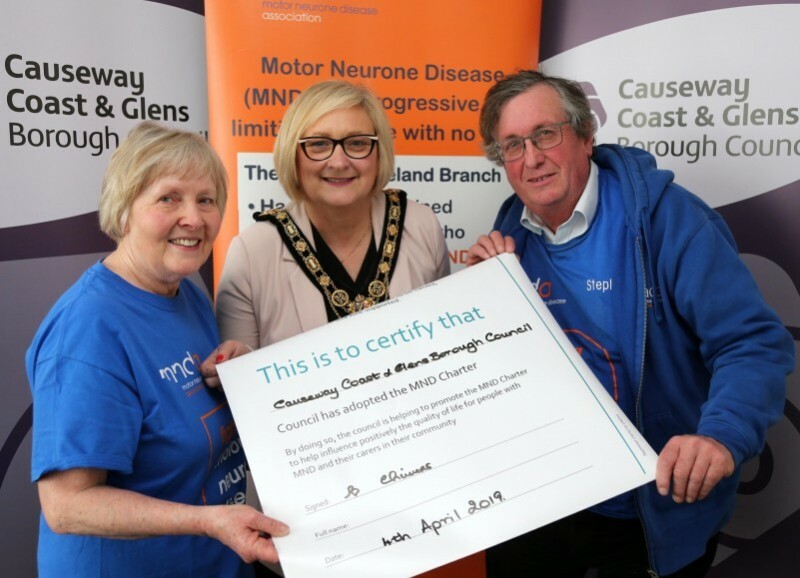 The Mayor of Causeway Coast and Glens Borough Council Councillor Brenda Chivers said: “I am delighted Council has agreed to adopt the MND Charter. 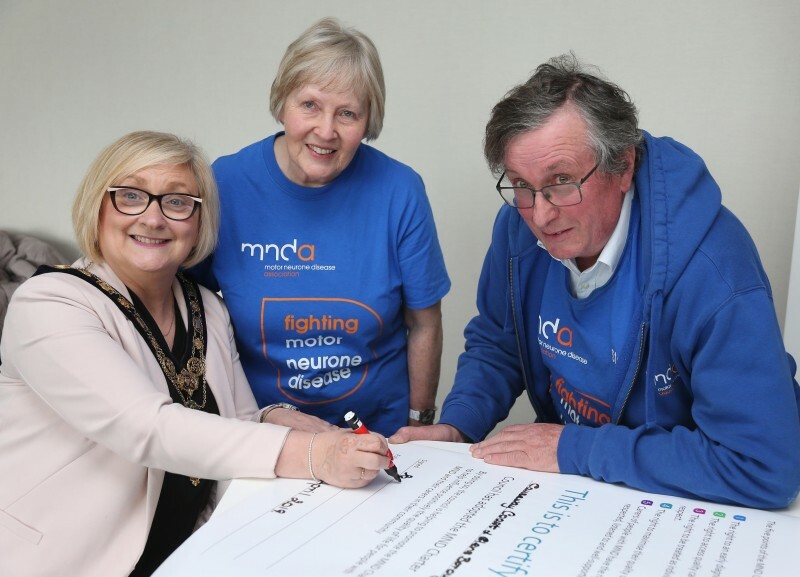 It is vital that more people are aware of the needs of people with MND so those living with this devastating disease can maximise their quality of life and die with dignity”. 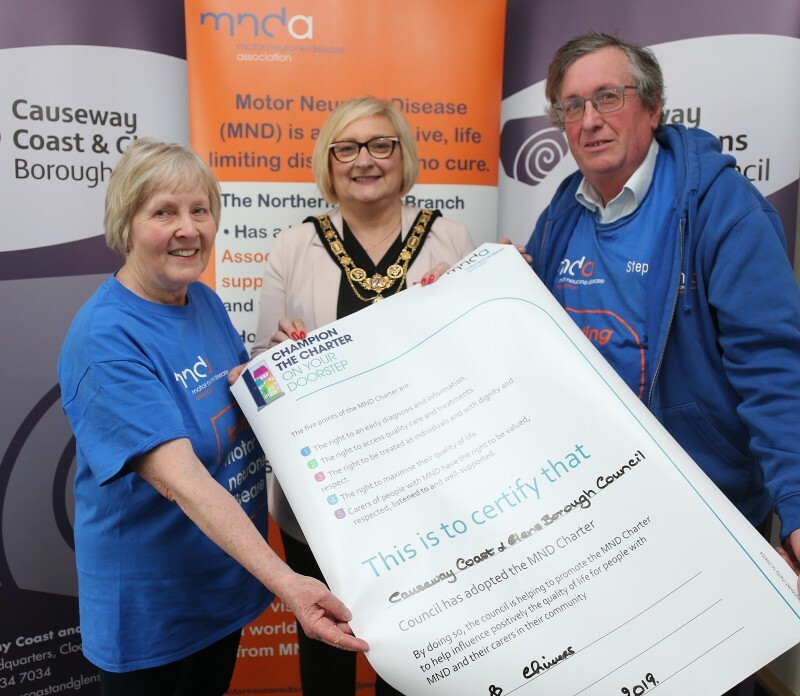 While Councils in Northern Ireland aren’t responsible for health and social care, they can still play a significant part in making the MND Charter a reality. 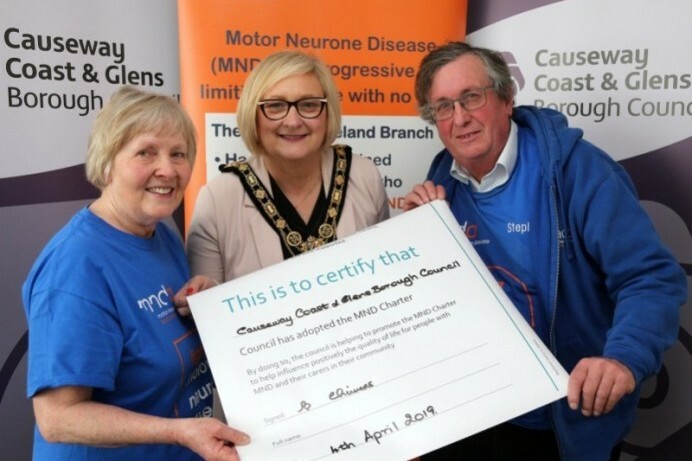 By adopting the Charter the Council can help increase awareness and let our community know that MND matters.